The more I travel the more I notice similarities across cultures rather than differences between them. For example, I have yet to visit a place that doesn’t have fried chicken as a dish in some shape or form. Same with dumplings…I was surprised to notice they are everywhere! Everyone loves dumplings! And what’s not to like? There is something incredibly satisfying about biting into a dumpling and discovering the mix of flavours and textures. Here’s a guide to the dumplings I have had the good fortune to sample around the world….but I am sure it is by no means an exhaustive list, so please do write in and add on if you have a favourite dumpling I have missed. China: It would take a book to describe all the buns and dumplings that exist in China. Not only are there a great deal of types, but they also vary from region to region and thus the list might just be endless. 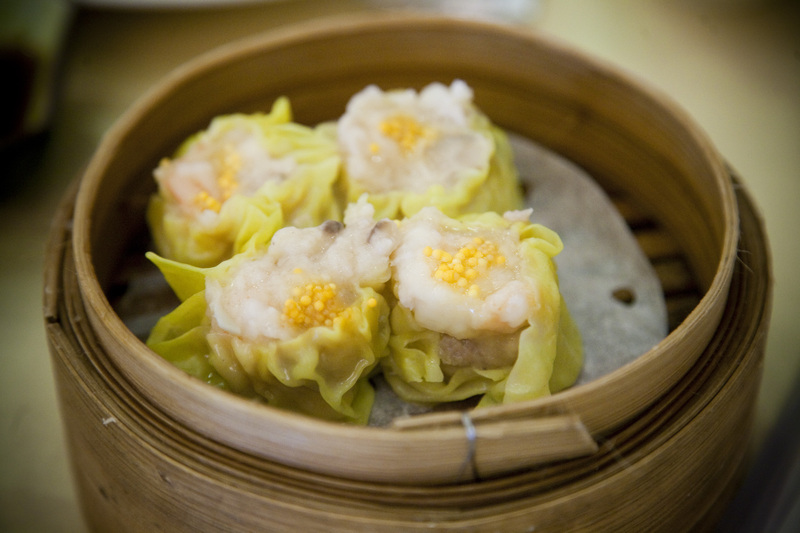 I have been enjoying dim sum since my days in New York so I consider myself to be very lucky to live in China where dim sum is not just a Sunday afternoon event. You can have dim sum any time in this great country and believe me, I do! There are so many different kinds of dumplings but my favourite has to be xiao long bao – the traditional dumpling filled with a pork meatball and hot soup. I am also a big lover of the simple classics zheng jiao which are steamed dumplings (my favourite being shrimp) and jiaozi otherwise known as potstickers. 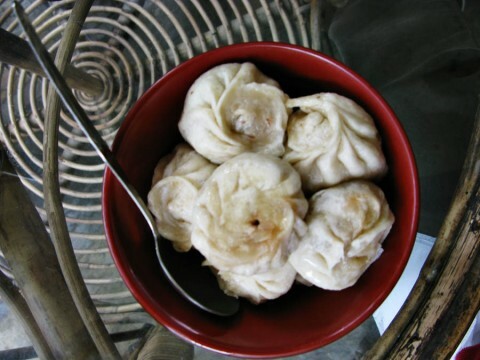 Nepal: I was completely taken with momos when I visited Nepal a few years back. These are somewhere between buns and dumplings with the breading. Again the traditional contents are ground pork, but often they have the addition of some potato and curry spices which make something like the love child of a Chinese dumpling an an Indian samosa. Japan: Japanese dumplings are so popular they have traveled worldwide. 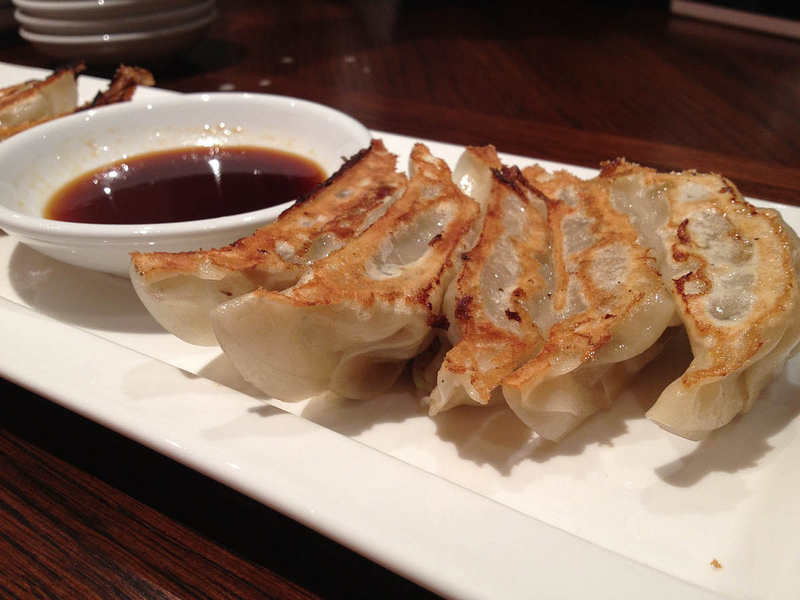 Gyoza are also in the potsticker category, fried in hot oil until the outside is golden brown and slightly crunchy. Filling is typically ground port with green onion, ginger and garlic. Thailand: an adaptation from Chinese dumpling, kanom jeeb are quite popular in Thailand. These steamed dumplings feature a combination of pork, shrimp and water chestnuts and is served with Thai soy dipping sauce. The combination of ingredients yield a soft texture with a little crunch in every bite. Kanom jeeb is served with Thai dipping soy sauce. 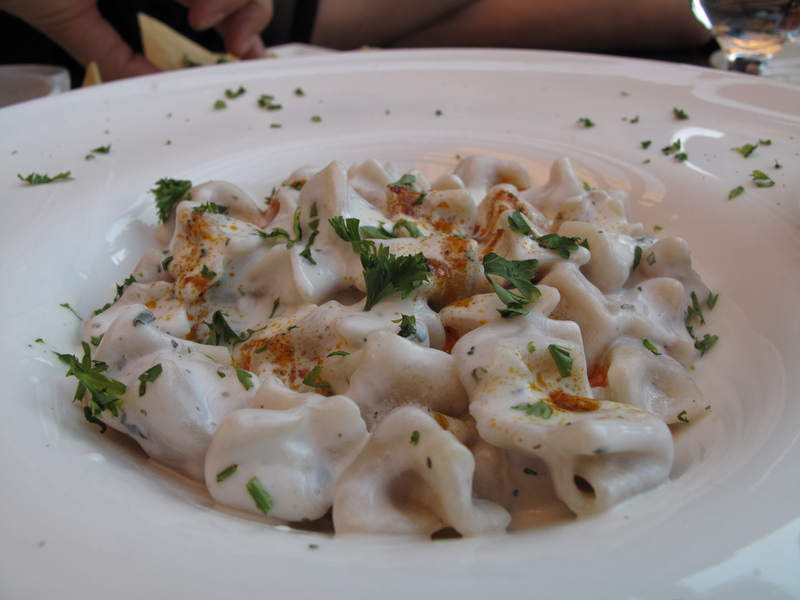 Turkey: Yes, even in Turkey there are dumplings. My ex-mother in law used to spend all day making manti from scratch. 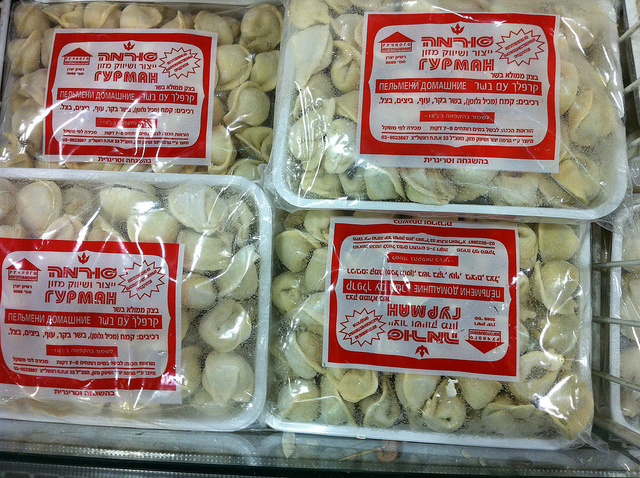 Manti are tiny crescent shaped dumplings (something like wontons) filled with minced lamb, onion, pine nuts and garlic. The best part though is how there are served – drizzed with a hot sauce of butter and smoked paprika and doused with copious amounts of tangy plain yogurt. 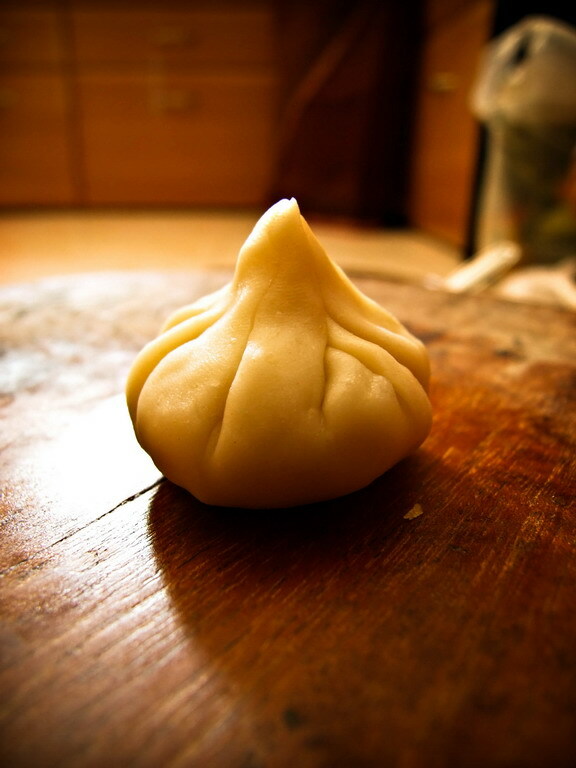 India: A very special sweet dumpling in Southern India is modak. Modak is made with freshly grated coconut and jaggery (cane sugar) in a shell of rice or wheat flour. It can be fried or steamed but I prefer the steamed ones, probably because they are served hot with ghee (clarified butter). Czech & Austria: These are a bit of an exception because they are not really stuffed with a filling. Knedlíky are bread dumplings quite often served as a side dish with meats and gravy. They are perfect for soaking up every last bit of the tasty rich gravies that are so common in these countries. Russia: OK, so technically pierogi are Polish. But I have never been to Poland. That said, they are also served all over Eastern Europe and I did have them in Russia, so that counts, right? They can be sweet or savory. I prefer the savory which are based on a mashed potato and cheese filling. I say based, because there are a lot of creative variations incluind fried onions, spinach, mushrooms, cabbage and more. These are usually served with a dollop of sour cream. Jewish: Since there are a great many Jewish populations in the world, it is hard to limit kreplach to one country. 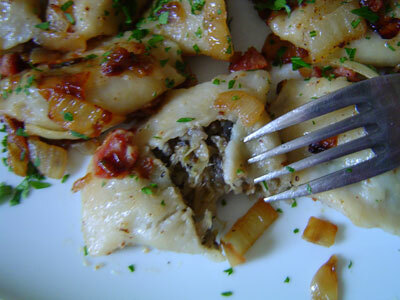 I most often had kreplech at a Ukranian diner in the lower east side of Manhattan. 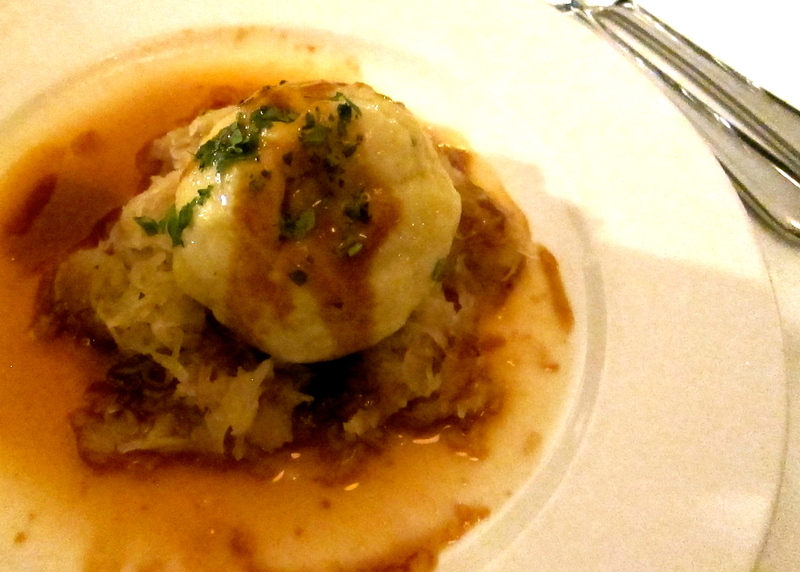 Kreplach are dumplings filled with meat and mashed potato and served in chicken soup. (another great Jewish tradition). I look forward to traveling more and sampling a great many dumplings in other corners of the world! Any recommendations? 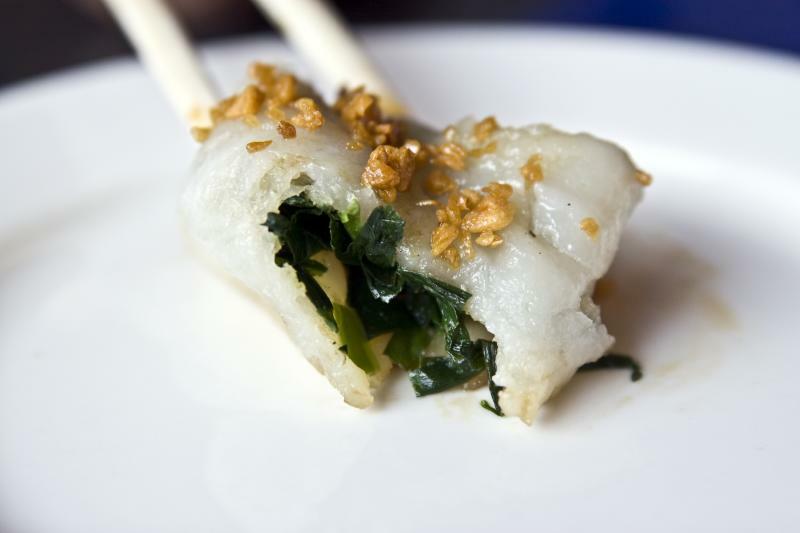 I could eat dumplings forever…love the way you describe memos – my favorite! This post made my mouth water! I want to try the Turkish and the Thai ones. I think my favorite dumpling would have to be hakkao or shrimp dumplings. Simple delectable. Love, love, love dumplings! What a mouthwatering post.